Driving along Hillhurst Road, there are several construction sites—but only one with student artwork brightening the construction fence. 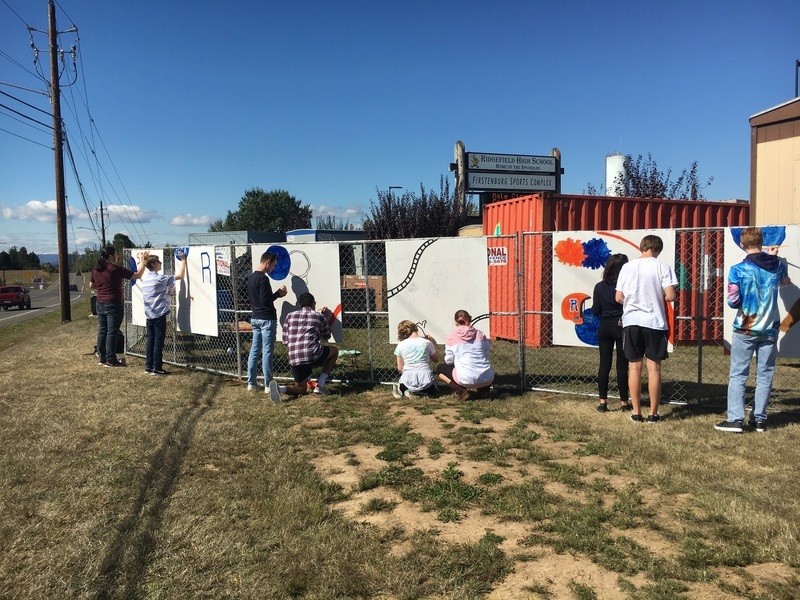 Students from Tamara Hoodenpyl’s second year illustration class are creating outdoor art panels along the fenceline at Ridgefield High School. Hoodenpyl encouraged her students to view the project as artwork they were producing for a client. “They had to create a theme for their client, the high school, so they decided to use athletics and activities from the school,” she said. The panels cover a wide range of activities, including robotics, drama, debate, and sports. 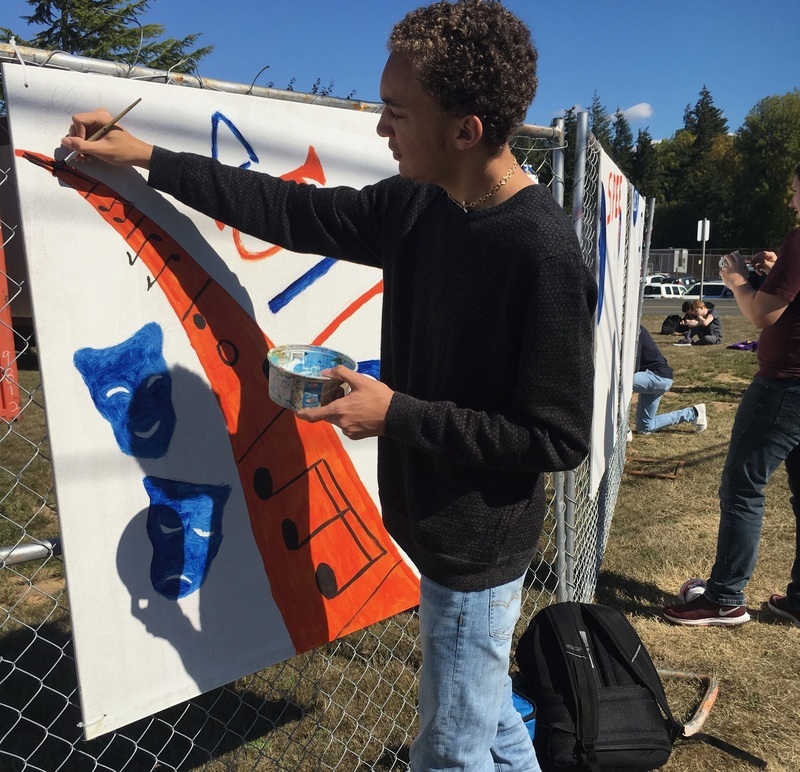 Using blue circles and orange lines that appear across each of the canvases, the students selected unifying designs and colors to tie the panels together. Kyshaun Summers paints the drama and music panel. Keep an eye on the fences to see the finished projects and to learn more about activities at RHS.